Many of you don’t give a damn about security and privacy when its related to Internet stuff. The reasons behind this thinking varies from being ignorant of the consequences to some personal choices or laziness. But for many of you including me , security and privacy matters a lot when its online and easily accessible to anyone geeky enough. So why anyone like me want to surf anonymously? The reasons include protecting personal data, to hide browsing activities from others, protecting your sensitive personal and business data,when you don’t want to leave traces of what you did surfing and many more. There are many ways to do it like using a proxy server, hiding IP , tunneling software, clearing cache and cookies and few more methods. I will talk about something different here. 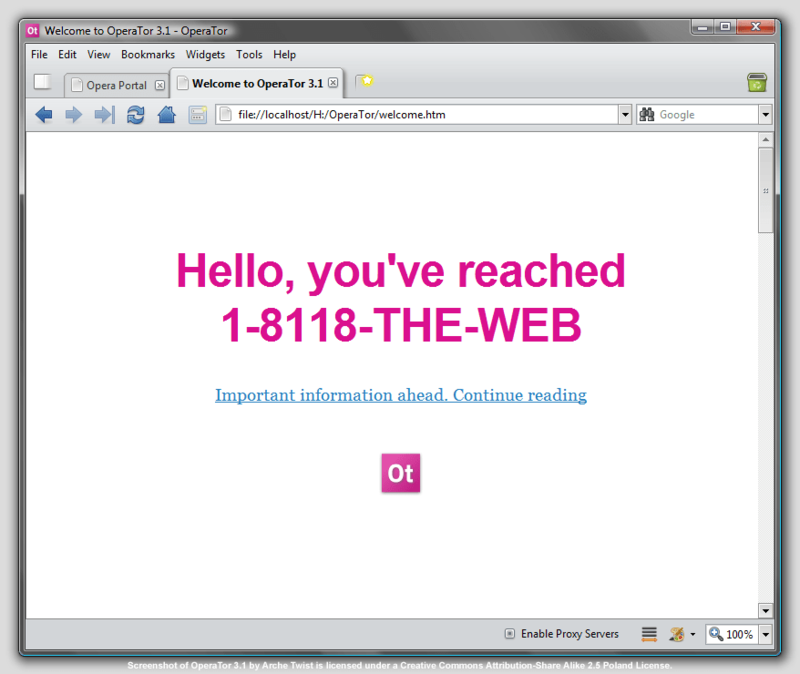 OperaTor is a portable version of Opera browser powered jointly byOpera Browser, Tor and Polipo which lets you surf anonymously. You can just save it in your portable device and plug it in the computer you need to surf when. Just run it and start surfing anonymously. None of your data will be stored anywhere. It doesn’t take much memory to run and the fastest browser as its based on Opera. Download it here from two sources.